Holy Week is a much-awaited event that attracts thousands of pilgrims and tourists to witness the Lenten rites traditions in San Fernando City, Pampanga . Although, the Catholic Church is strongly against violent Lenten rituals (crucifixion and hitting yourself), the Lenten tradition stays alive in San Fernando City through the annual Maleldo Lenten Rites. If you're planning to visit San Fernando City to witness the Lenten rites, here's a list of 10 important things to know when attending the event. 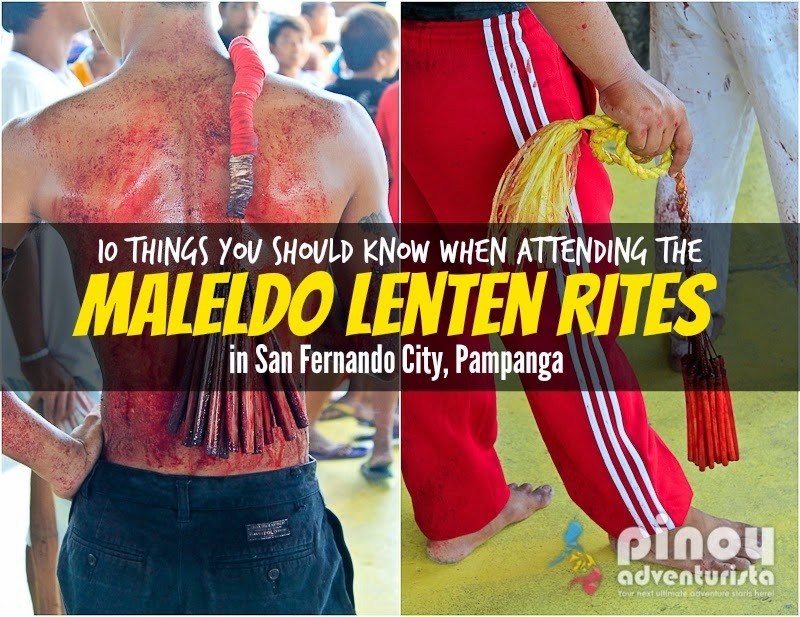 "Maleldo" is the Kapampangan word for Holy Week. This Lenten rites started in the 1950's and was passed on from generations to generations. 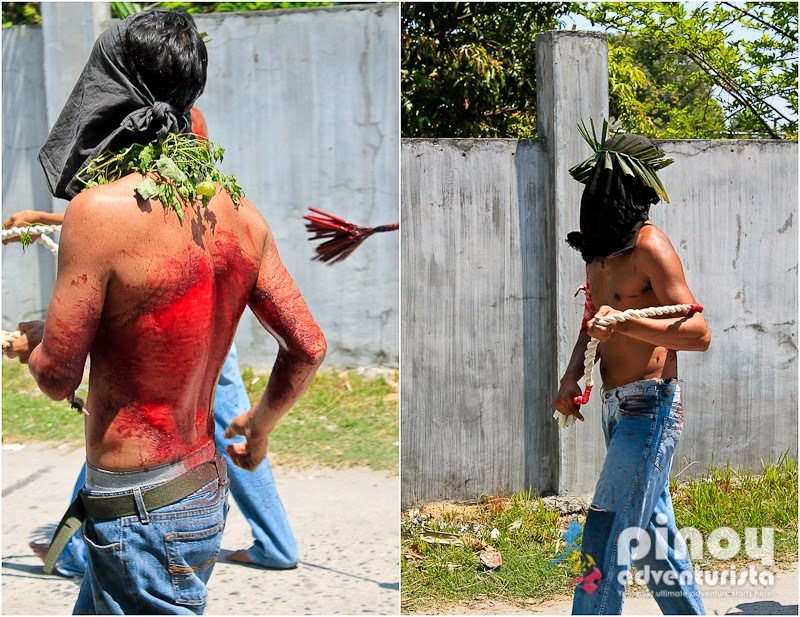 There are different kinds of flagellants (also called "Magdarame"), there's what they call "mamusan krus", flagellants who carry crosses, then there's "mamalaspas", flagellants who bleed and whip themselves, the "magsalibatbat", flagellants who crawl on hot pavement and dirt roads, and lastly, the "kristos", flagellants who are nailed on a cross. Actual nailing on the cross is done on the "kristos." 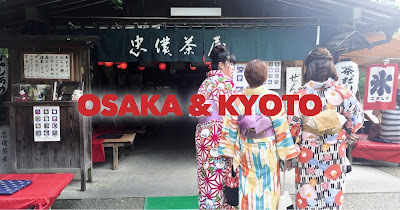 Also, it is a common sight to see flaggelants whipping themselves with bamboo sticks tied to a rope that draws blood from their back. 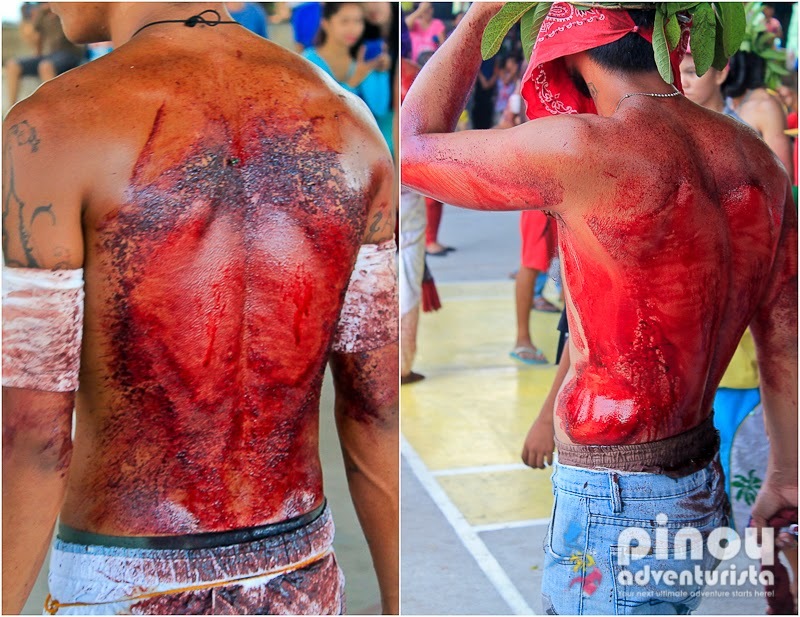 If you're afraid of blood, Maleldo Lenten Rites is not for you. There are 3 crucifixion sites in San Fernando City: Brgy. San Juan, Sta Lucia and San Pedro Cutud. The most popular and widely attended is the one in San Pedro Cutud. 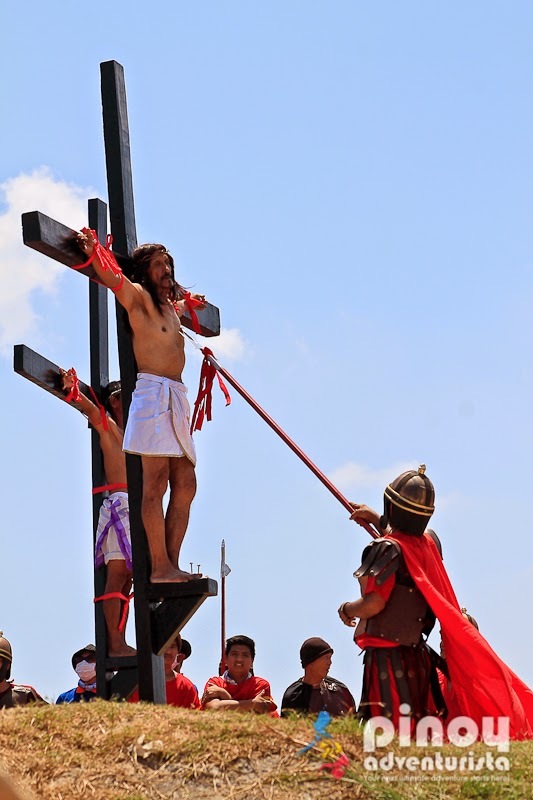 The passion play and crucifixion starts at 7:30 AM in San Juan, 10:00 AM in Sta Lucia and 12:00 Noon in San Pedro Cutud. 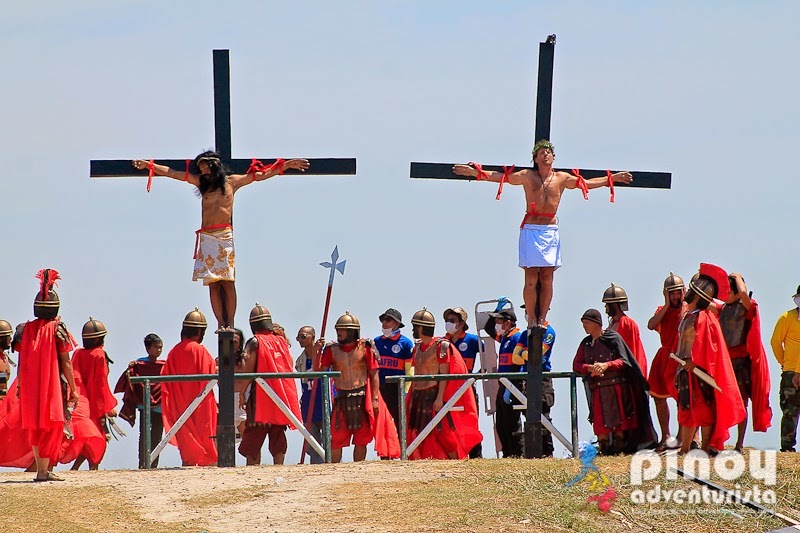 If you're attending the event, be early in San Fernando, Pampanga to avoid the heavy traffic in getting to the crucifixion sites. The scorching summer sun and the dust in San Pedro Cutud could be really unbearable. Protect yourself from the heat. Bring a hat or umbrella and apply sun block. Although there are food stalls in the crucifixion sites, it is advisable to bring drinking water and snacks. Keep yourself hyrated. Take care of your personal belongings. Bring extra clothes just in case your clothes get stained with blood. For the members of the media, if you want to cover Maleldo (Cutud Lenten Rites), it is recommended that you secure a media ID from the City of San Fernando tourism office or you may visit their website www.cityofsanfernando.gov.ph to apply online for a Media Accredition ID. Maleldo Ritual Rites is supported by the city tourism office of San Fernando as it is part of their rich culture and tradition; a testament of the Kapampangans' firm grip to their old Lenten rituals and practices.